It's no secret that as a photographer I enjoy capturing the precise moment when the stars align and a photo is as good or better than I had hoped. It happens often enough that after years of successes, and failures, I'm still out there making the effort. Every photographer has their own wheelhouse and I'm no different. For me it's all things nature and the environment. I do not however limit myself to any one area and I have been known to spend my days photographing buildings, people, or occasionally events. 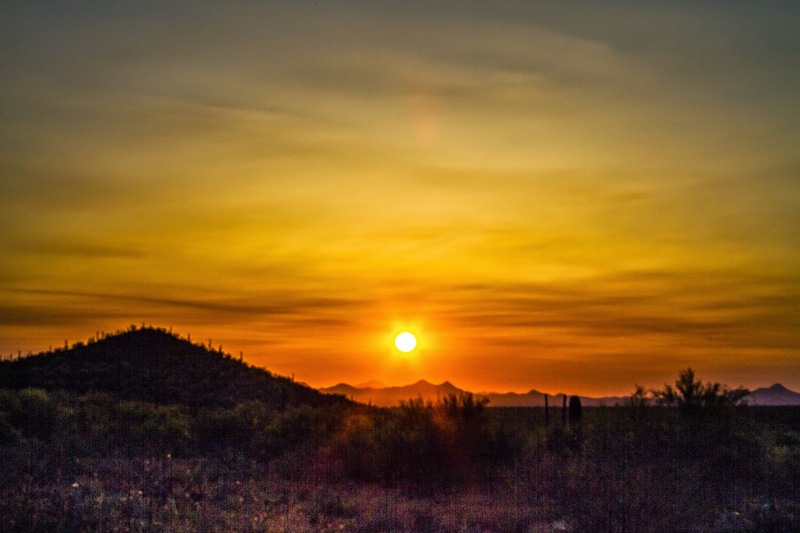 I do always gravitate back to nature like this sunset in Tucson Mountain Park which is one of my favorites from my earliest days with digital photography. 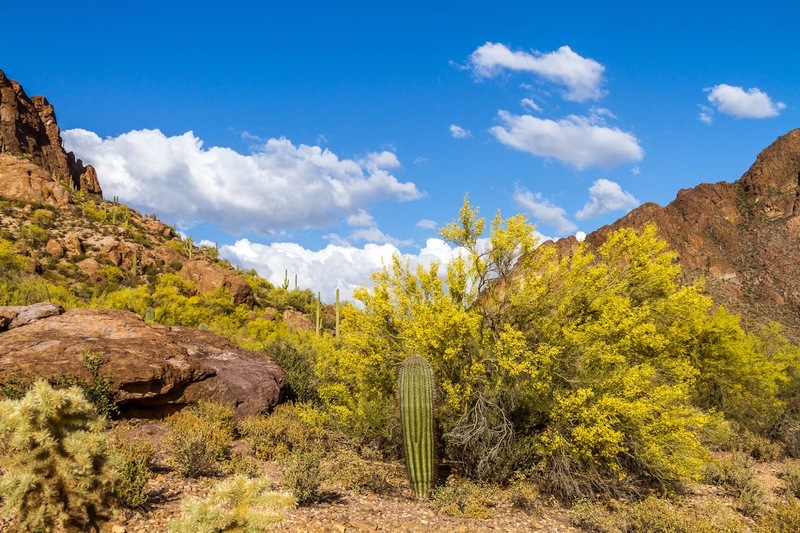 Because of my cameras I have had a special relationship with the Sonoran Desert and this has shaped my opinions about the state of it's ecological health. 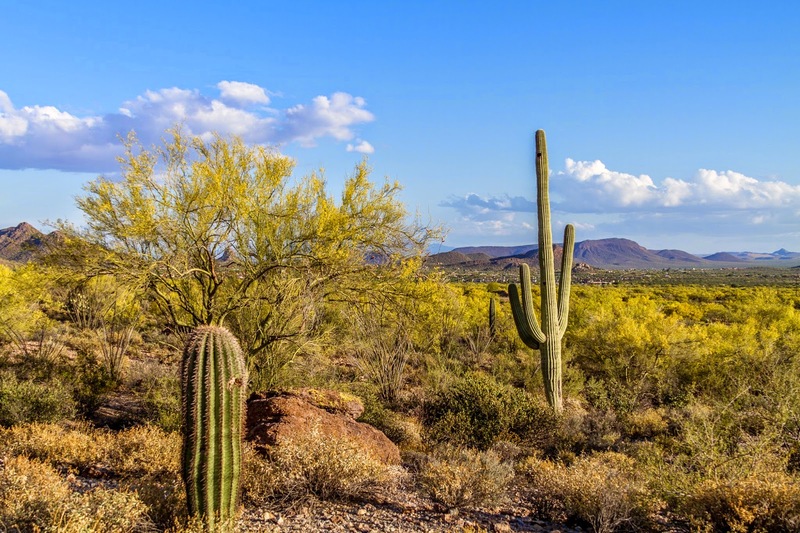 While the Sonoran Desert is one of the most diverse places imaginable it is not immune from the damaging effects of human beings and a rapidly changing climate. In fact the opposite is true. 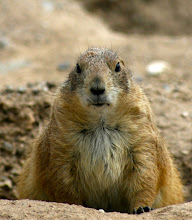 The Black-tailed Prairie Dog is a perfect example of the effects of human intervention. Black-tailed Prairie Dogs were once estimated in the hundreds of millions across the western prairies, perhaps numbering in the billions and today their number is a tiny percentage of what it used to be, between 10-20 million. As a keystone species it's severely reduced numbers have had an extremely negative impact on many other species including the endangered Black-footed Ferret which once numbered in the tens of thousands and now only a few hundred remain. 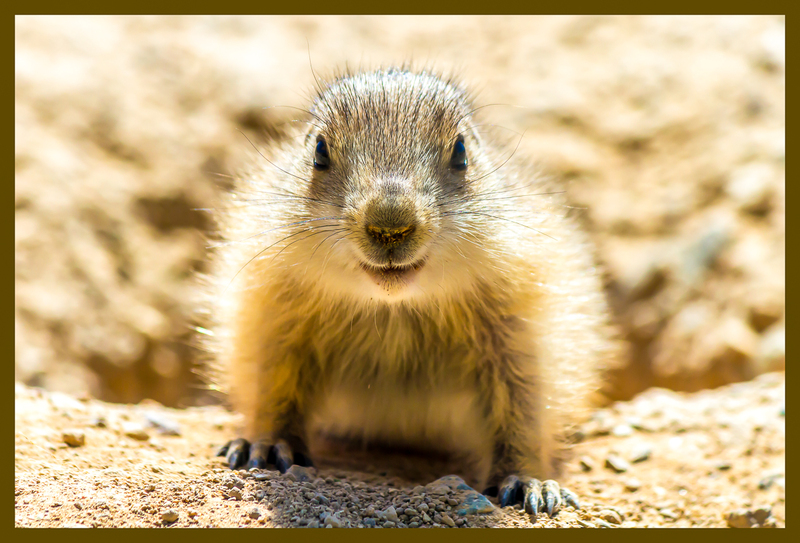 Prairie dog colonies create islands of habitat that benefit up to 150 different species. 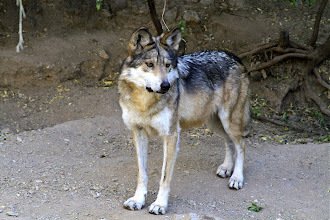 They are a food source for many animals, including coyotes, eagles, badgers and the black-footed ferret. 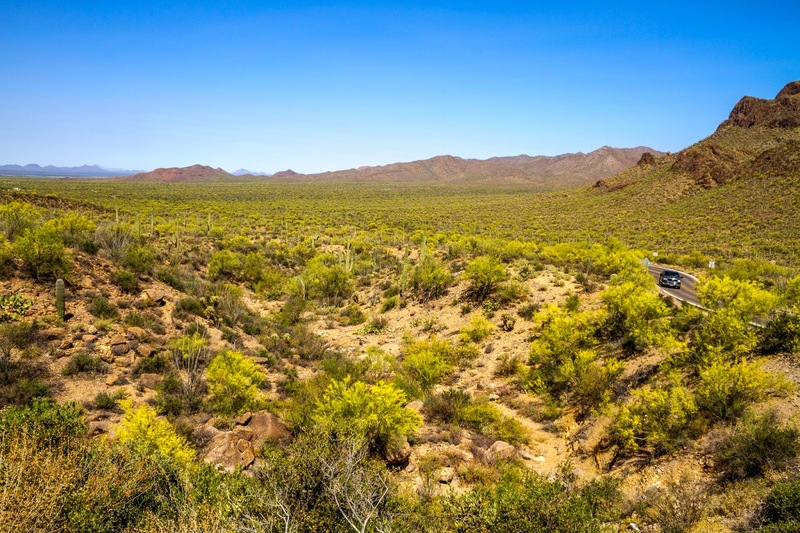 In Arizona the Back-tailed Prairie Dog was extirpated from the landscape with poisons and the loss of habitat.There is an effort underway just east of here near Sonoita at Las Cienegas to restore the Prairie Dog to it's native grasslands. Another endangered species that lives here in the Sonoran Desert is the Bighorn Sheep. 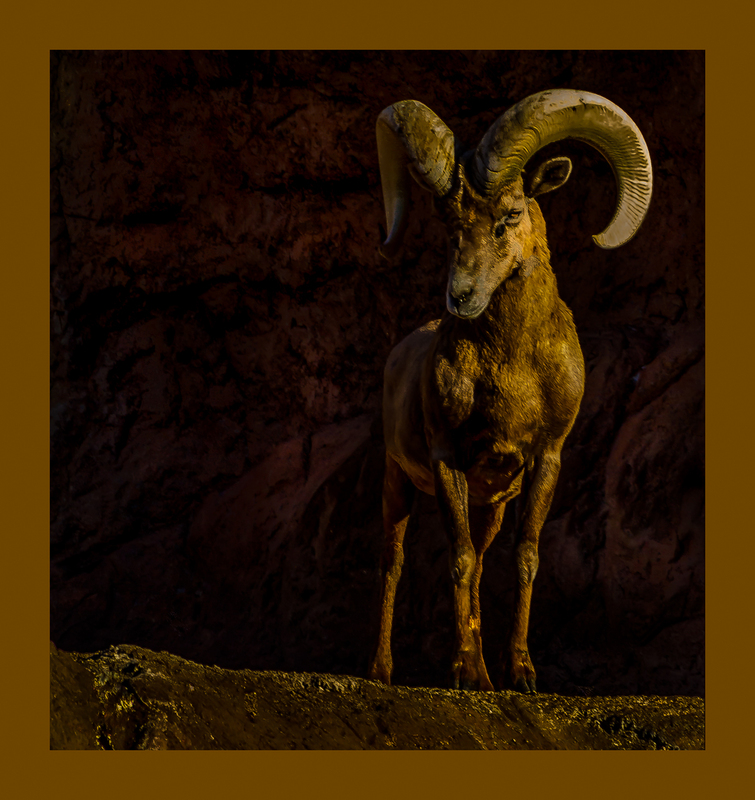 All the usual interventions by humans are the cause of the Bighorn's decline. 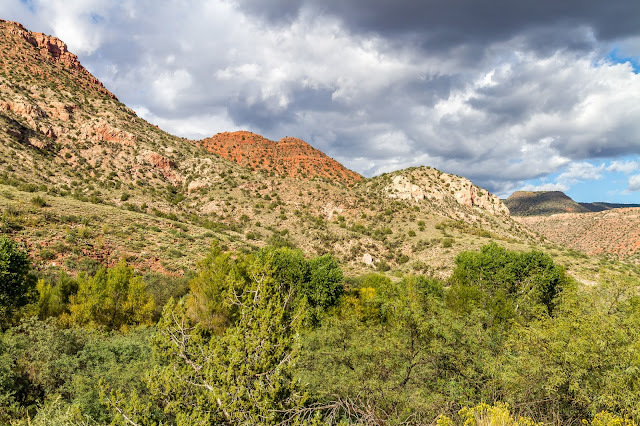 Hunting, poaching, cattle grazing, loss of habitat plus drought, disease and mountain lion predation have all combined to push this population to the edge of extinction. 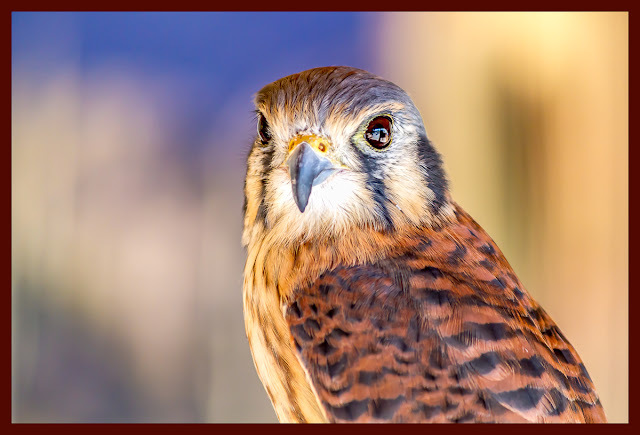 Occurring over a wide range the American Kestrel in considered to be of Least Concern by the IUCN but there is evidence that the Kestrel is in rapid decline over the last three decades with the long-term loss at almost 50 percent of the population. That’s a big drop for a bird considered abundant in North America.The question is will the decline continue at it's current rate and how long will it take before it becomes endangered? Not all creatures living in the desert are currently considered threatened or endangered but if the desert itself is threatened due to a rapidly warming climate how long before that changes? June 2016 was the hottest June in 122 years and we have been breaking records here for several years. One of the unfortunate side effects of warmer temperatures is extended ranges for insects that used to be kept south of here like the Africanized Bee's that have extended their range into Southern Arizona. 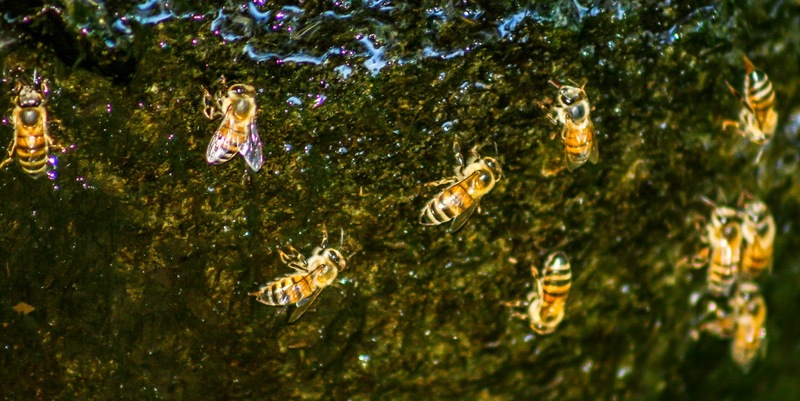 Every year there are now reports of bee attacks, some fatal, in the southern part of our state. 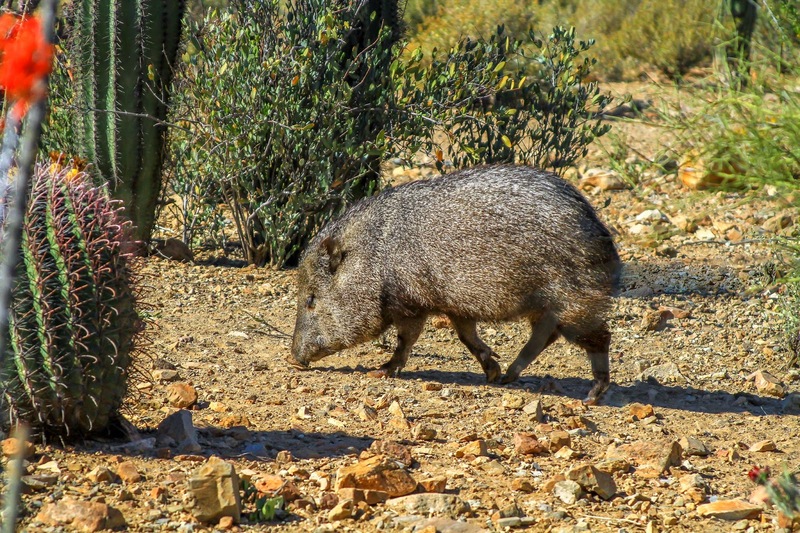 Another animal currently doing well here in the desert is the Javelina. 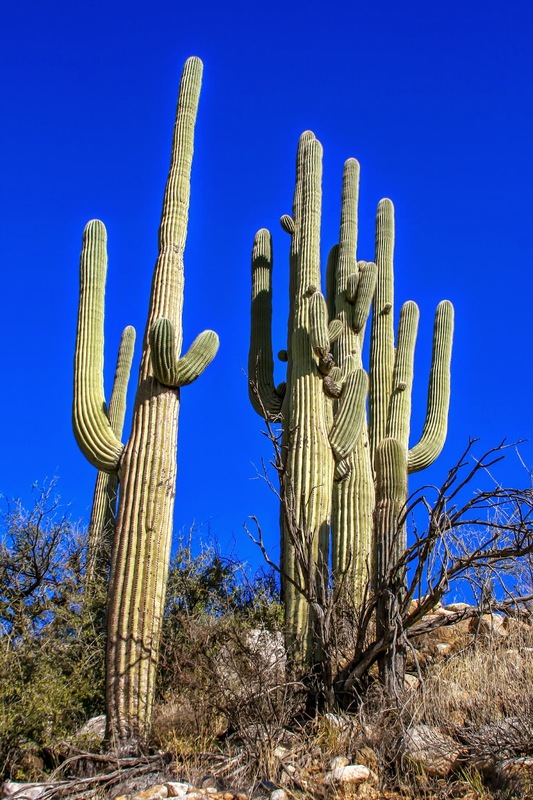 They eat a variety of native plants such as agave, mesquite beans, and prickly pear, as well as other green vegetation. 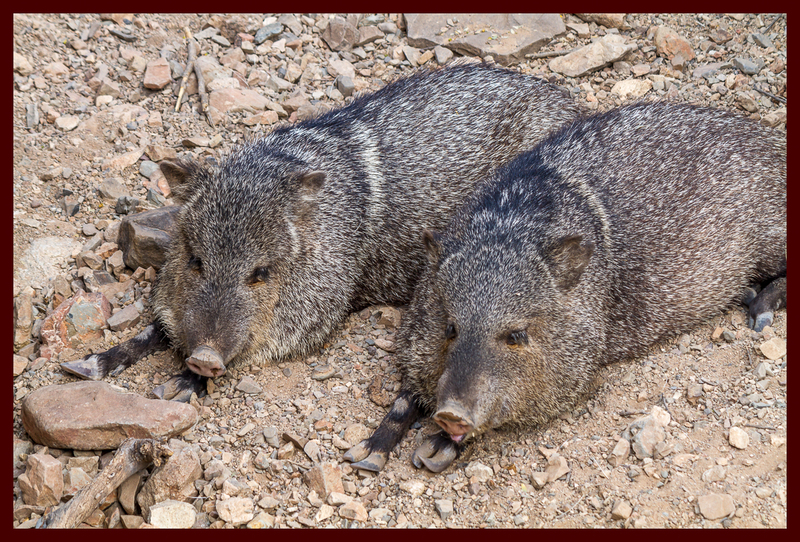 Javelina's live in family groups usually around ten or less but have been known to travel in a group of more than fifty. 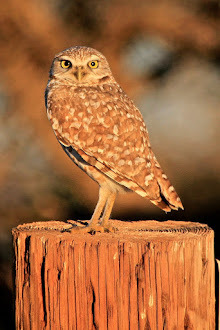 I've encountered them in the wild on many occasions here in Southern Arizona in groups of a dozen or more at a time. Chuckwalla's have an optimum body temperature of 100-105 and will lie in the sun until it is reached before eating. 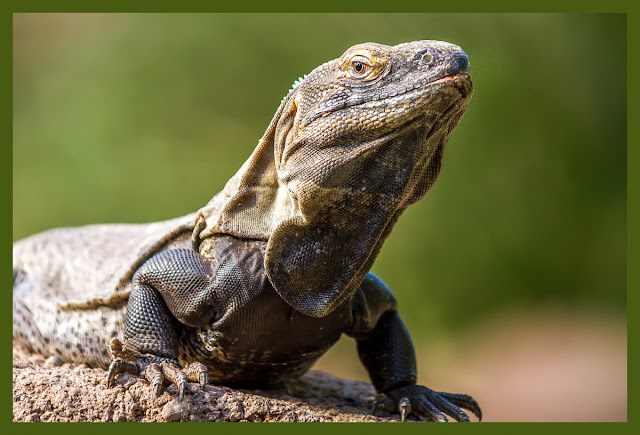 Strictly a plant eater Chuckwalla's are prevalent in southwest Arizona , California and into Mexico and grow up to 18 inches long. 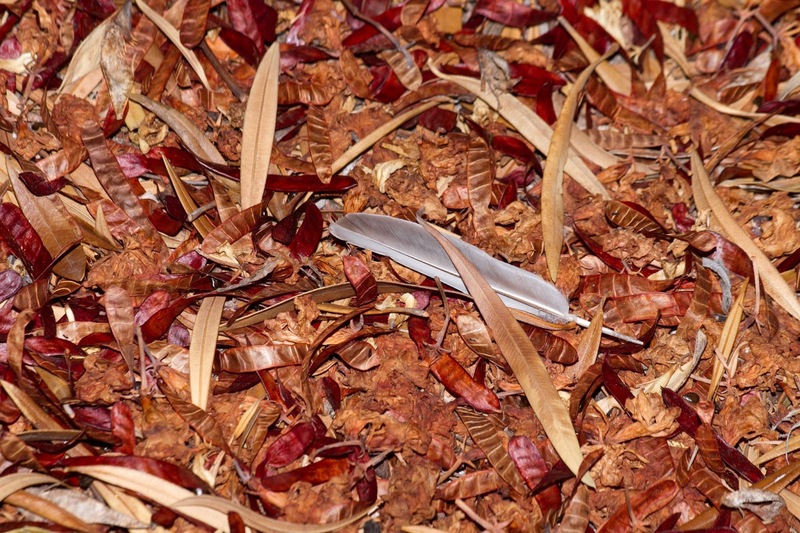 Photography and nature are two constants in my life and I hope that you enjoy either or both in your life as they are truly an amazing form of meditation. We traveled the 200 plus miles from Tucson to Camp Verde Arizona to ride the train into Verde Canyon and to visit a couple of the more well known Native American archeological sites in the area including Montezuma Castle and Tuzigoot National Monuments. We had hoped to visit one of the monuments the day we arrived but the weather did not cooperate and low hanging clouds and rain made us seek indoor activities until we could check into our motel. 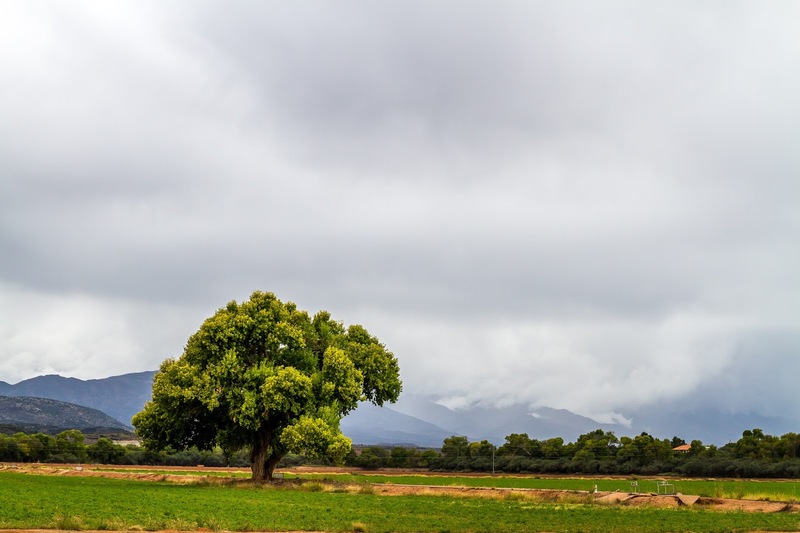 Camp Verde is to my mind sort of a combination of desert and a more New England like ambiance with full sized trees and grass (there was actual roadside mowing) with gardens reminiscent of those in my native northeast. As it would happen it rained throughout the first day and most of that night but we woke up to one of the nicest days that we have experienced in months. It started out almost cold with a mottled sky that promised much better weather for the day ahead. We were not disappointed as the day was sunny, on the cool side with a slight breeze. 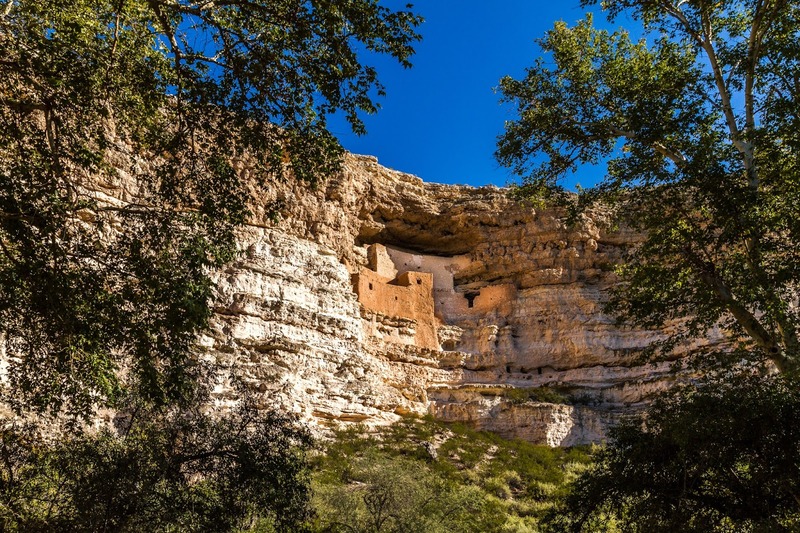 We decided to visit Montezuma Castle in the morning as it was near by and I was anxious to put my cameras to work. 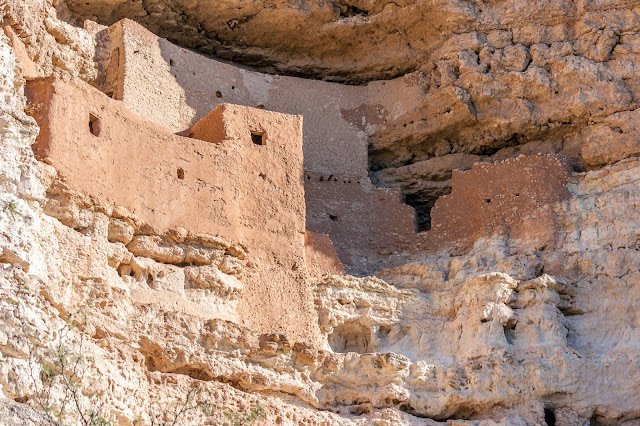 According to Wikipedia "The dwellings were built and used by the Sinagua people, a pre-Columbian culture closely related to the Hohokam and other indigenous peoples of the southwestern United States, between approximately 1100 and 1425 AD. The main structure comprises five stories and twenty rooms, and was built over the course of three centuries." For the record Montezuma was born 40 years after the complex was abandoned and had nothing to do with it's construction. 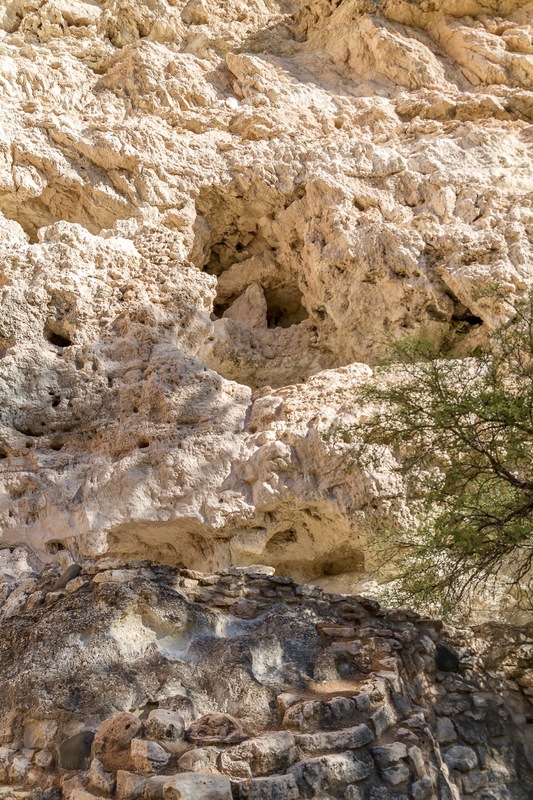 There is evidence of an even larger structure nearby but all that remains is the foundation. There are also many caves at various heights nearby that were either used for living space or storage. A series of ladders that allowed public access to the site were removed in 1951 to prevent further looting of the national monument. 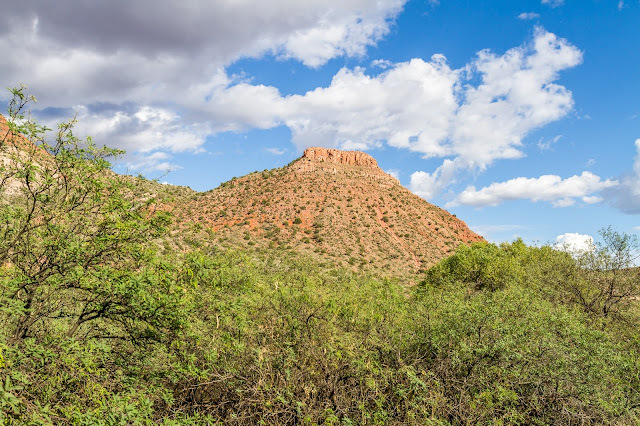 Our visit was a short one due to our plans to ride the train into Verde Canyon which was slated to depart at one o'clock and we still wanted to stop off and see Tuzigoot National Monument which was on the way to the train station. 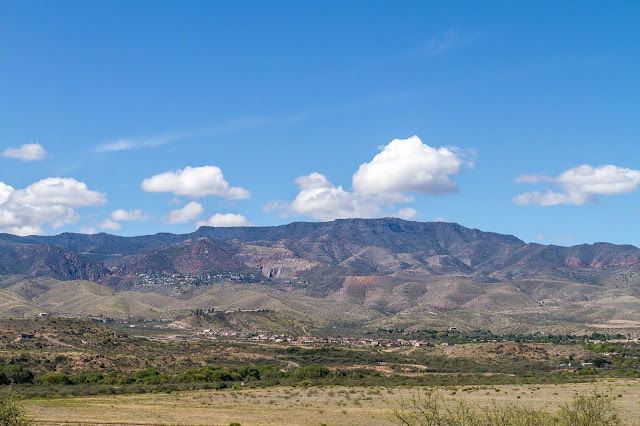 Tuzigoot National Monument was on our way to our destination and even though we had less than an hour to spare we wanted to at least see it and get a few pictures because we don't know when we might return to this area again. Tuzigoot is 110 room pueblo built on an outcrop in the Verde Valley near Clarkdale Arizona. 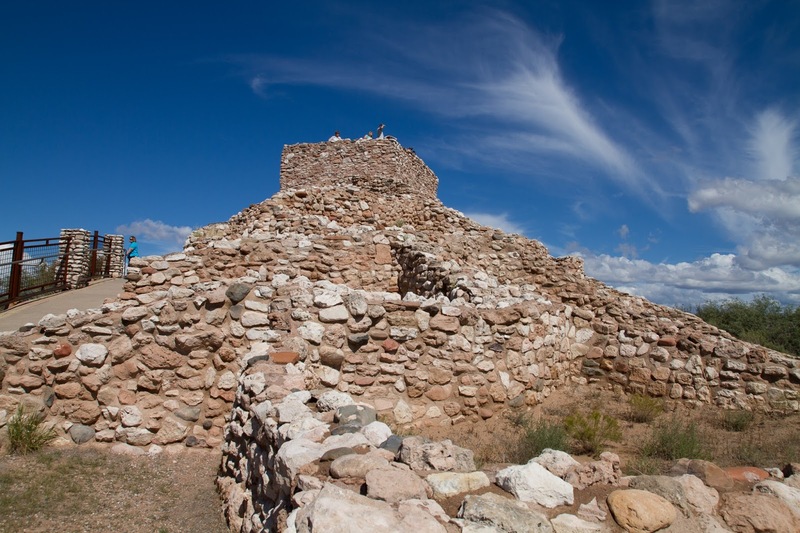 It is the largest of the pueblo ruins built by the Sinagua people in the Verde Valley. Tuzigoot commands a sweeping view of the surrounding valley and is situated overlooking the Verde River The name Tuzigoot is Apache for "crooked river" and was built between 1100 and 1450 A.D..
Nestled on the mountainside is the town of Jerome which I would like to visit some day as the views from there must be spectacular. 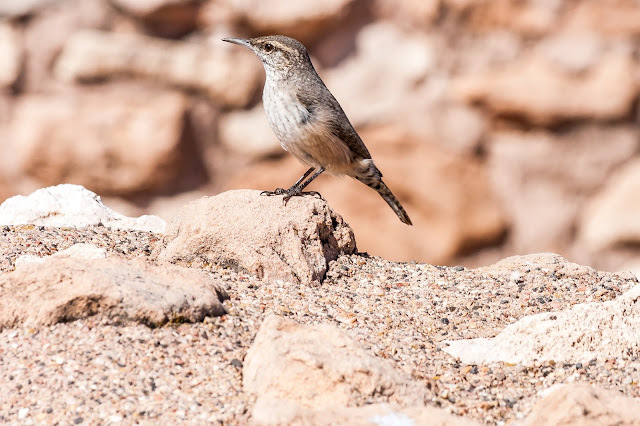 While we were checking out the ruins we were entertained by a pair of Rock Wrens who seemed very used to having people in their space. This one came within a few feet of us searching for food hidden among the rocks. 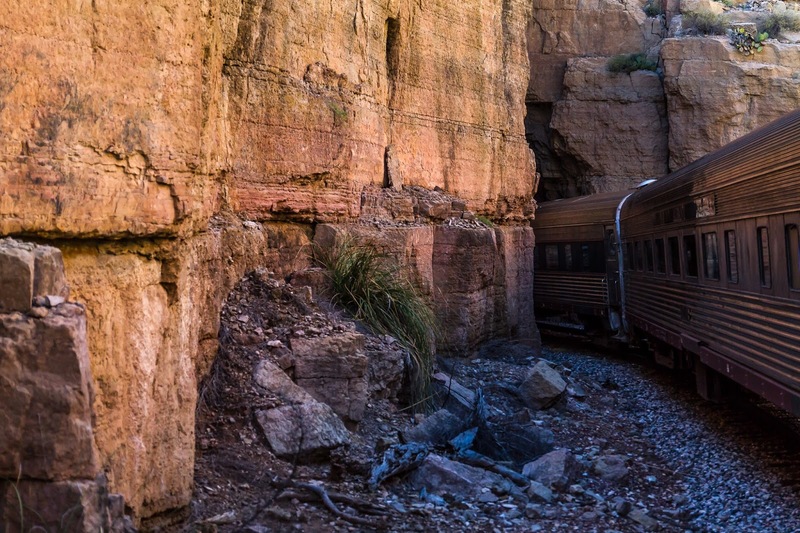 Our main objective was to ride the Verde Canyon Railroad which is approximately a four hour trip in and back out of the Verde Canyon. Nan hasn't been on a train since she was a small child and I haven't ridden the rails since I snuck to NYC as a 15 year old with my brother Tom and a friend. 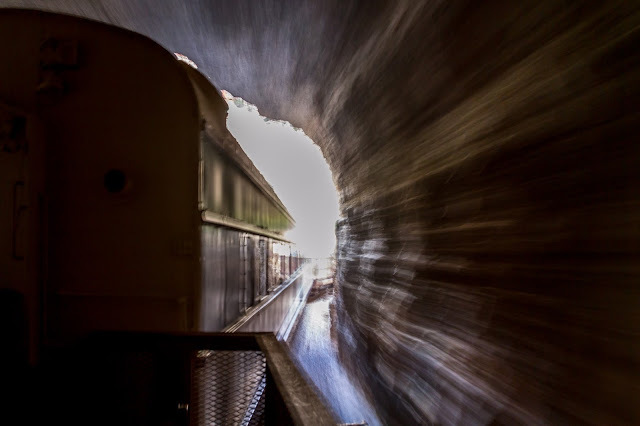 All of the photos in this section were taken from our observation car moving at between 15 and 20 miles per hour including the one's that show the train itself. The first photo was taken just after we left the Clarkdale terminals we rounded a bend and crossed the RR trestle. The observation cars were attached to our passenger car that was stocked with food, drink and comfortable seating that we barely used. 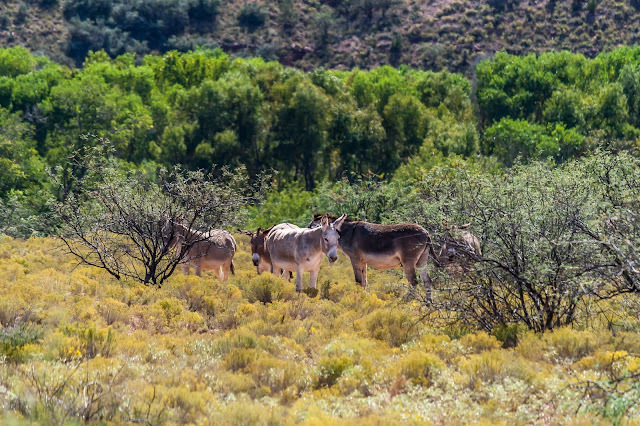 Although we didn't see much wildlife on this trip we were treated to these wild donkeys not long after we left the station. We also saw them on the return trip but not nearly as close as this. Other than that we saw a couple of hawks and and a few small birds although we spent a good deal of time looking for eagles the live along the river to no avail. 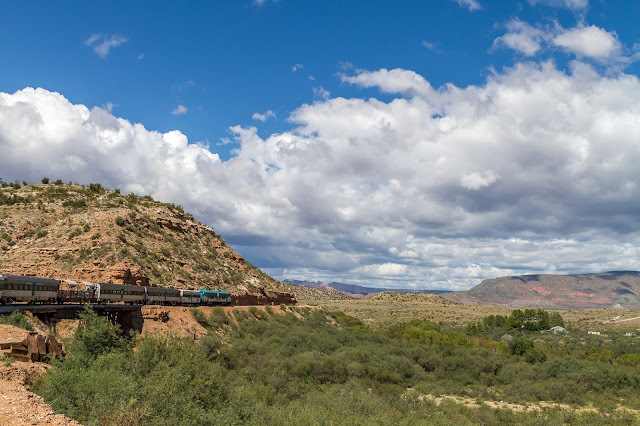 The train is the only transportation in and out of the canyon and it follows the Verde River fairly closely throughout the trip. Fairly impressive Cottonwoods line the river obscuring much of the river from view and making for great cover for wildlife but even though at times you can't actually see the river you almost always can tell it's path due to the lush greenery. 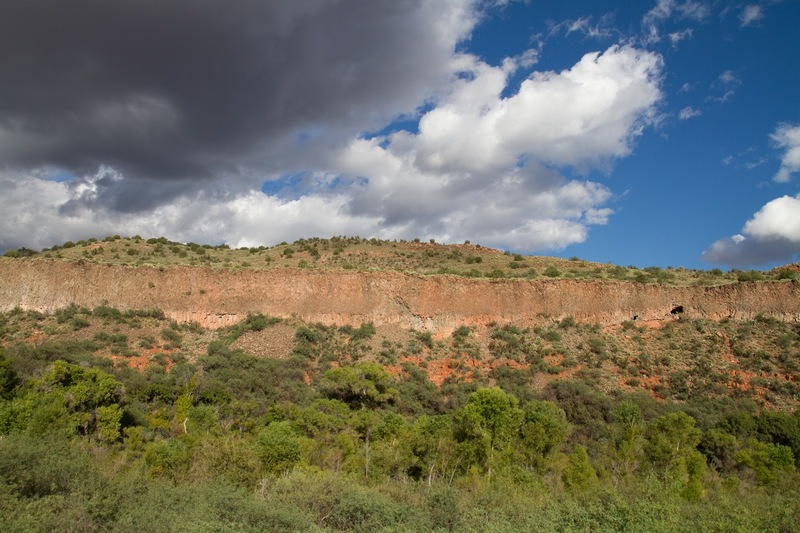 The landscape is stunning, the views spectacular and we could not be more pleased with this area in general. 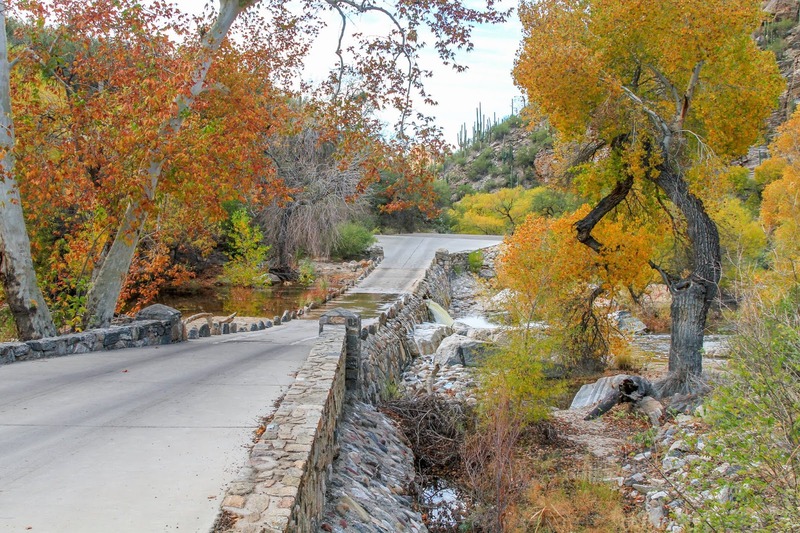 My affection for this place is certainly helped by the fact that the river actually has water in it and is not just a dry ditch like so many so called rivers here in Tucson where we live. Below is a photo of our train entering the only tunnel along the route which is barely big enough to fit a train. 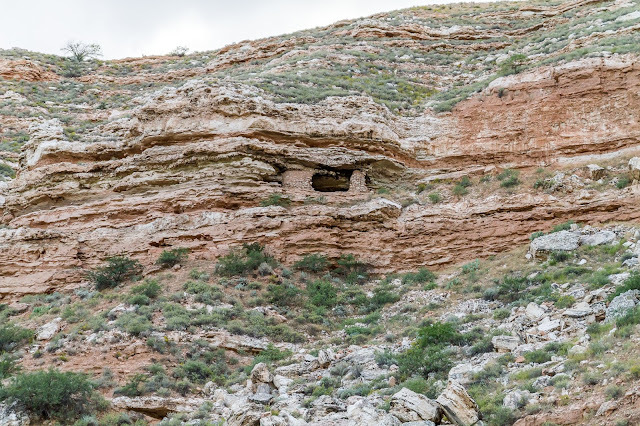 There was quite a bit of evidence of Native American culture along the tracks like this early storage cave. It's the kind of place that you could spend an entire lifetime exploring and not see all there is to see. The following are photos taken from the train on the trip back to the statin which was as entertaining as the trip out. This is something that if you are in the area you should definitely consider doing just for the views alone. I spent a week at the Ironwood Gallery helping to hang the Vanishing Circles exhibit one of the Arizona Sonora Desert Museum's permanent collections dedicated to endangered species here in the Sonoran Desert. 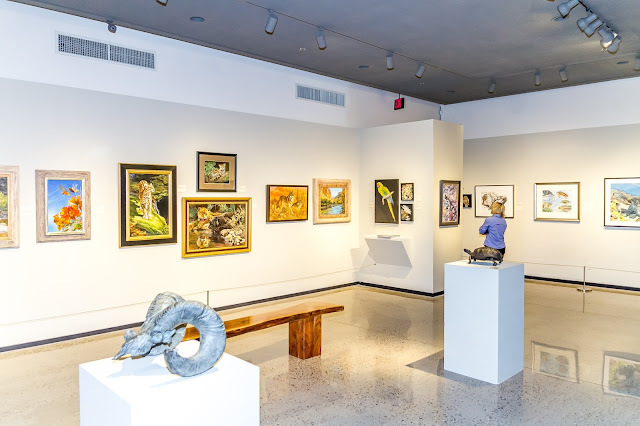 This exhibit is a selection of works depicting disappearing wildlife of the Sonoran Desert. 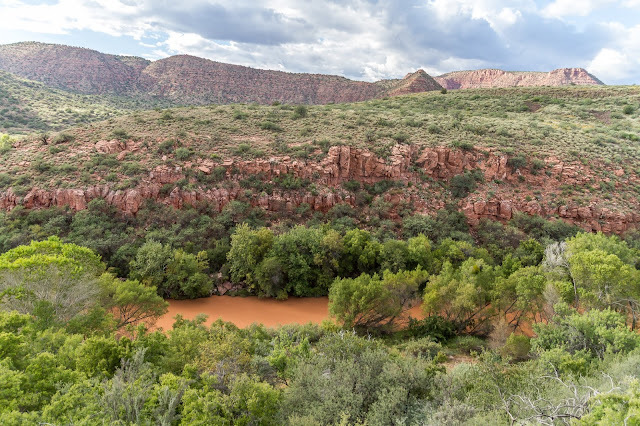 The Art Institute which operates the Ironwood Gallery has at the core of it's mission to expose people to conservation through art education which dovetails nicely with my mission of getting people interested in the natural world through photography. 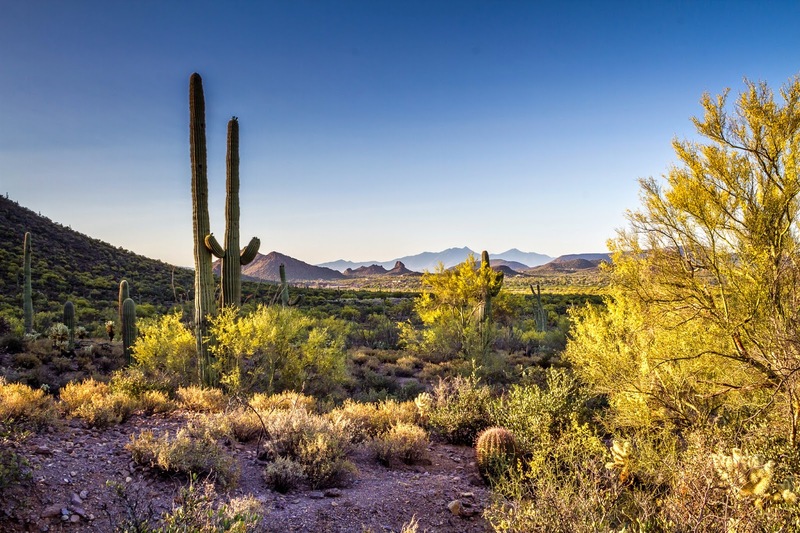 In addition to it's Art Institute the Desert Museum has many ongoing conservation projects including the reintroduction of the Mexican Garter Snake and the Tarahumara Frog to name a couple. This was also the week I agreed to review the Aperlite YH-500C Flash Unit in exchange for flash unit that I had been looking to purchase anyway. I actually gave the unit a 5 star rating on Amazon because I ha already researched it and it did indeed perform extremely well when I tested it. My review is included here. The following three photographs are from my evaluation of the flash unit. I’ve been looking for a reasonably priced TTL capable flash unit and the Aperlite YH-500C (for Canon) meets all of my requirements. As an event photographer I shoot lots of indoor, low light, difficult and fast moving venues and the Aperlite YH-500C performs beautifully, helping me to produce photos that are sharp, properly lit, with little if any grain. I recently photographed a gallery opening for a museum using the YH-500C and the resulting photos were of excellent quality and should they need to be, they can easily be made into very large prints or used in the museums published materials. The YH-500C’s controls are easy to use and changing settings is fast and the units recharge rate is very quick so I rarely miss a desired shot. Although TTL is my preferred mode the YH-500C offers Manual and Stroboflash modes as well as 2 off camera options which come in handy in a variety of different shooting situations. The YH-500C performs equally well outside in the world where I spend the bulk of my time photographing nature. Great for fill flash in mottled sunlight and deep shade this flash has allowed me to get the shots that I would have otherwise walked right by before I started carrying the Aperlite. The best reason’s to buy the Aperlite YH-500 flash is how well it performs in a variety of situations but on top of that is the fact that is is extremely reasonably priced, affordable for those of us who don’t have unlimited funds for equipment. The Aperlite YH-500C has great overall build, TTLMaster/Slave capabilities, fast recharge rate, very consistent TTL exposures and many, many other good qualities. My overall rating for the Aperlite YH-500C is that it is an excellent flash unit at an excellent price! I also purchased a new Canon EF 50mm 1.8 lens due to it's reputation for very sharp photographs and so far I ave been very happy with the results although it's taking a little time to get used to having to move back and forth to get the subject in the viewfinder. 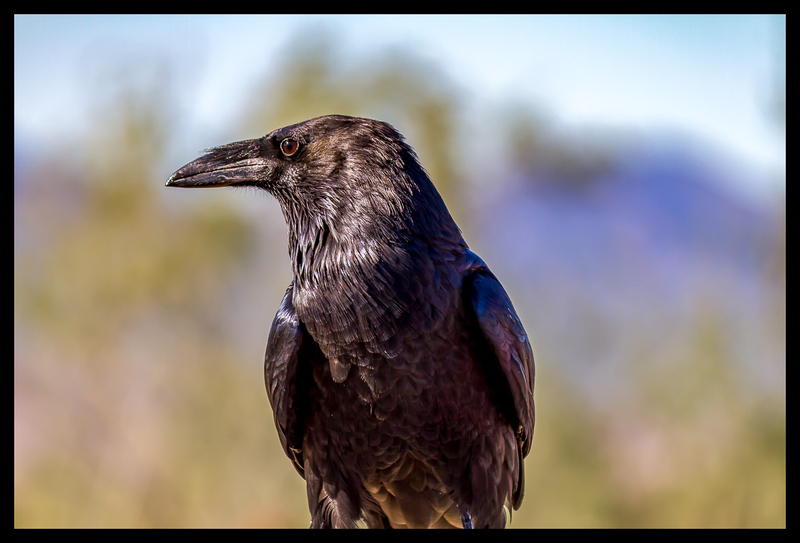 I do love this lens and here are a couple of the first photos that I took with the lens mounted on my Canon 7D. 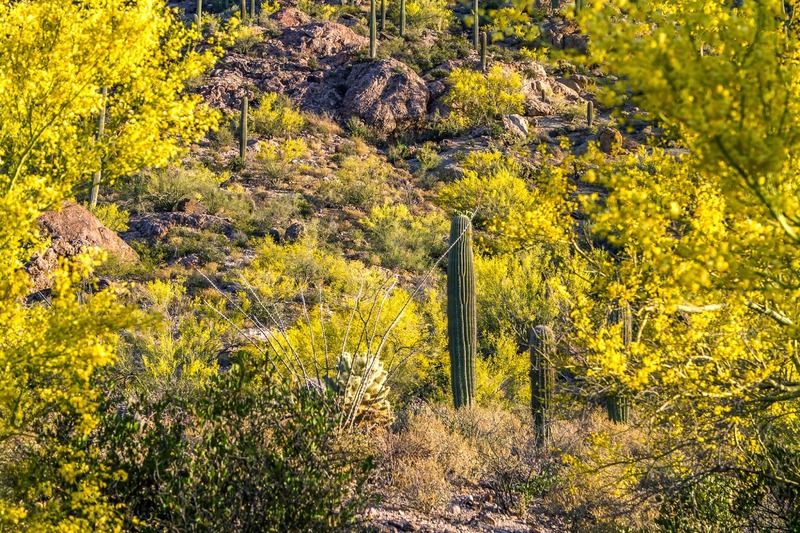 Most everything that has already bloomed this year has been exceptional but without a doubt the most impressive and far reaching display of color this year has been the Palo Verde trees. Although there are four different Palo Verde trees in the Sonoran Desert two species are the most prevalent and widely known. 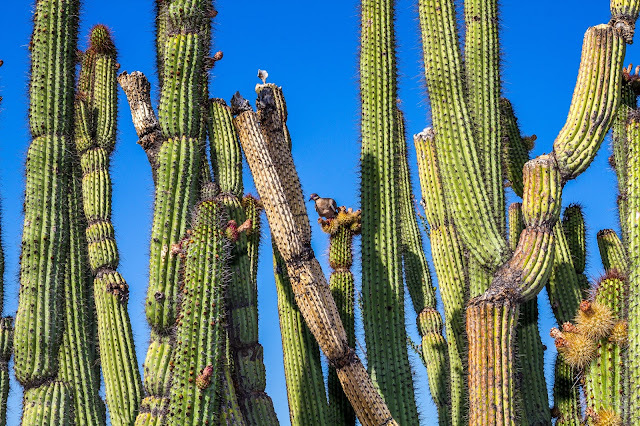 The first to bloom is the Blue Palo Verde which is the more upright of the two and grows to thirty feet. 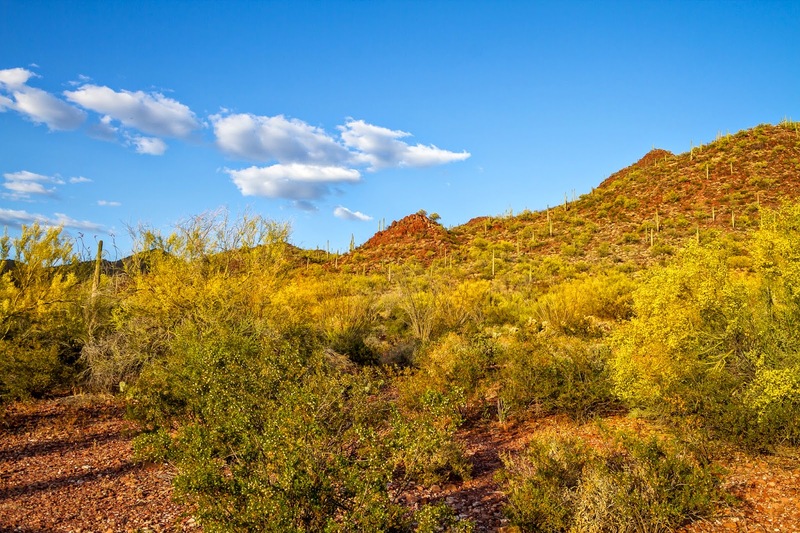 The second is the Foothills Palo Verde also known as the Littleleaf Palo Verde which is shrubbier and only grows to about twenty feet. 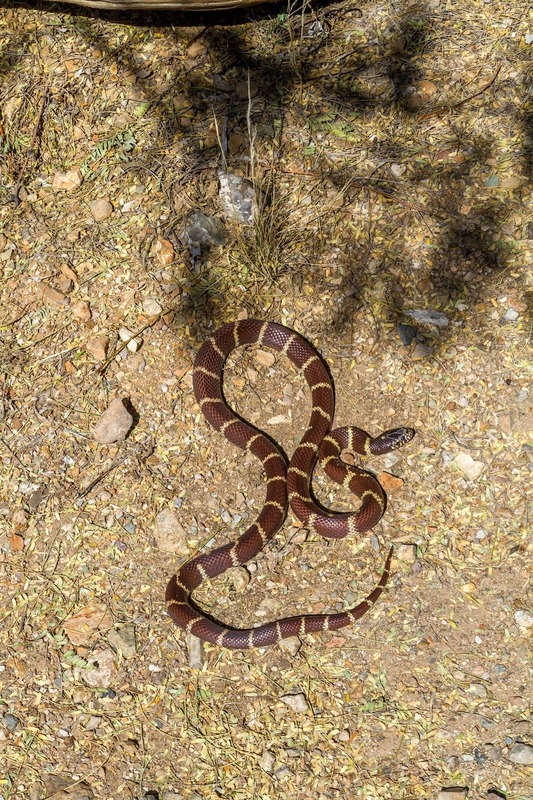 Most of the photos here were taken at various points in or near Tucson Mountain Park over several days. 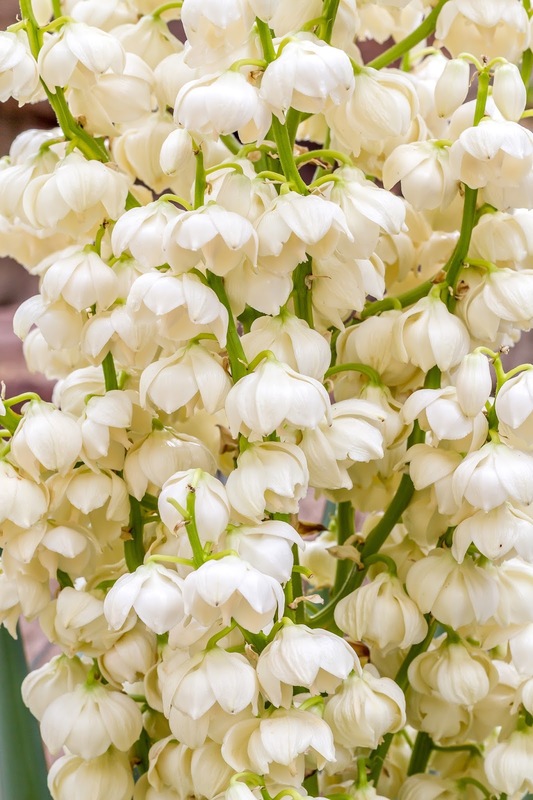 Most folks I've spoken to say they have never seen the Palo Verde's bloom this spectacular and in the ten years i have lived in Tucson I have never seen a bloom this massive. 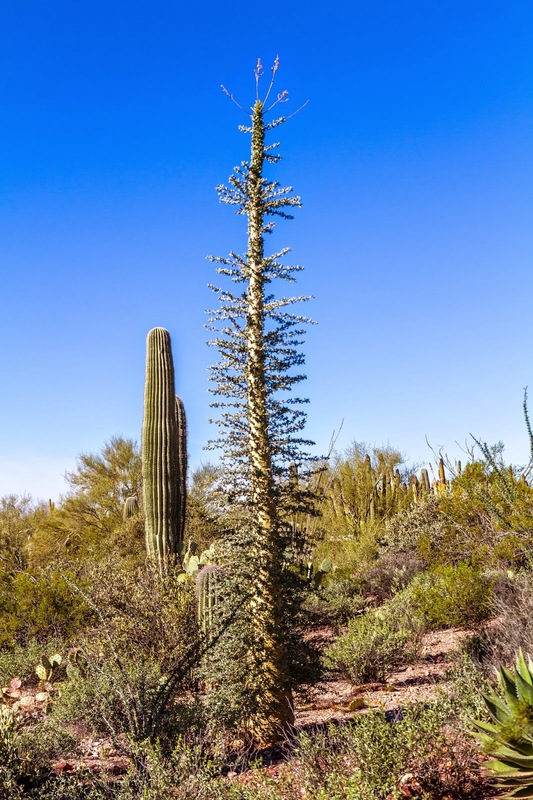 As we approach May the bloom will fade and be replaced with the Saguaro blossom which will once again bring me into the desert to try my hand at getting the quintessential Saguaro blossom for my database. 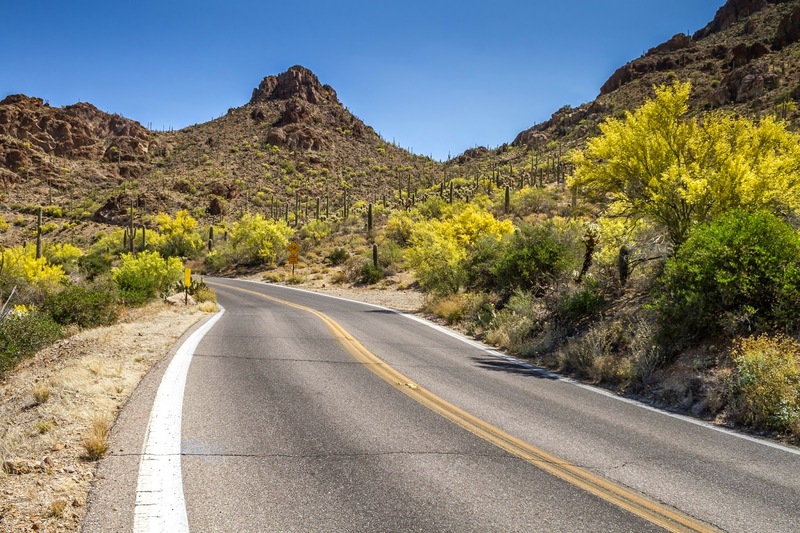 The above photo was taken just outside TMP in Saguaro National Park where the bloom had already reached it's peak. On the way home I couldn't resist stopping and waiting to see the sunset in the park. Turned out to be worth the wait. February has been a busy month for me with two major photo projects completed. 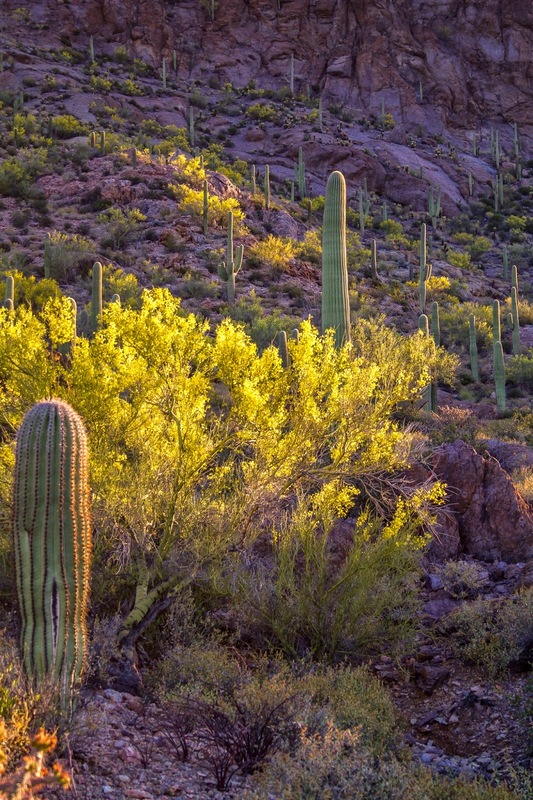 The first and most important project involved providing the Arizona Sonora Desert Museums Art Institute with 120 photographs of plants, animals and landscapes taken here in the Sonoran Desert. 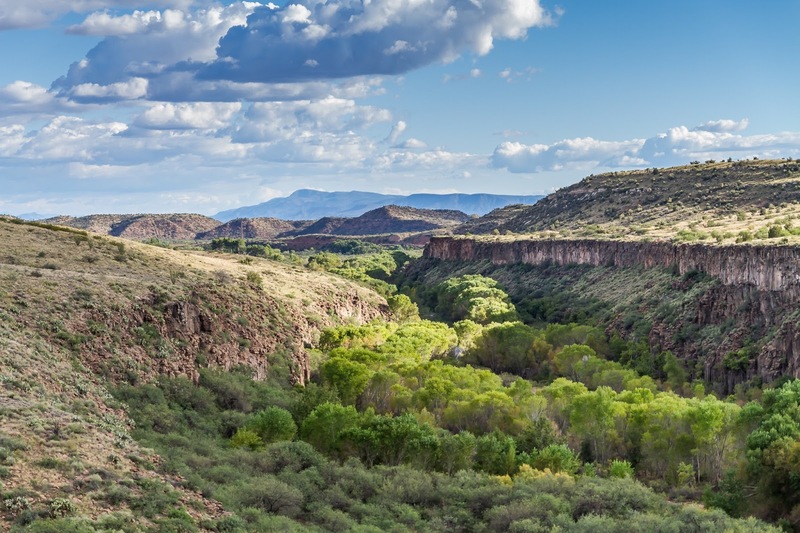 Many of these photos will be used in a video that is part of the Sonoran Intersections exhibit at the National Autonomous University of Mexico in Mexico City. 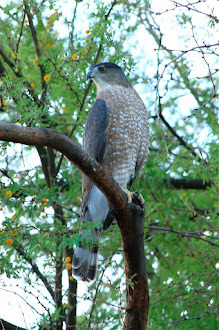 Sonoran Intersections, The Biodiversity of the Sonoran Desert, Portraits of Vanishing Wildlife opens Thursday March 12th in the main gallery at Universum, the Science Museum of the National Autonomous University of Mexico, which is Mexico’s primary museum dedicated to promoting science and technology to the public . The museum has thirteen halls divided by theme dedicated to various permanent exhibitions. Sonoran Intersections will be exhibited in the main gallery of the museum. Below are a few of the photos I submitted for use in the video and in a children's interactive game during the exhibit. 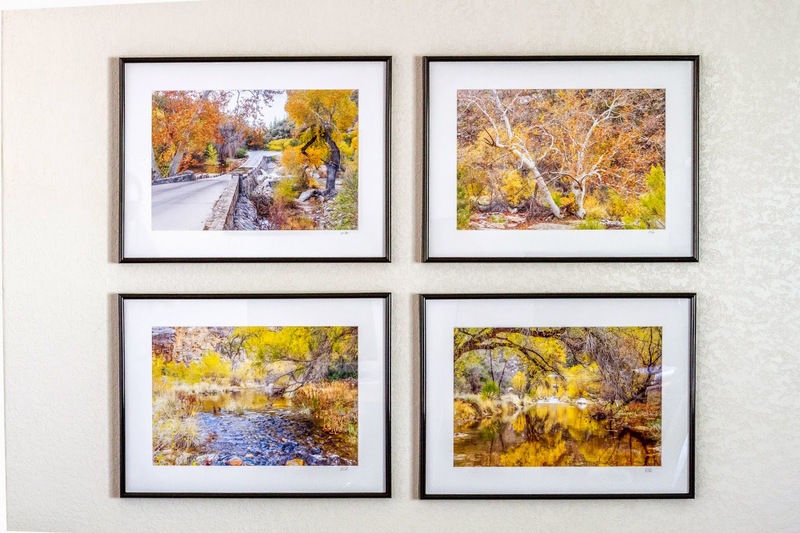 The second project is five framed 13x19 photos of Sabino Creek taken on December 17, 2012. 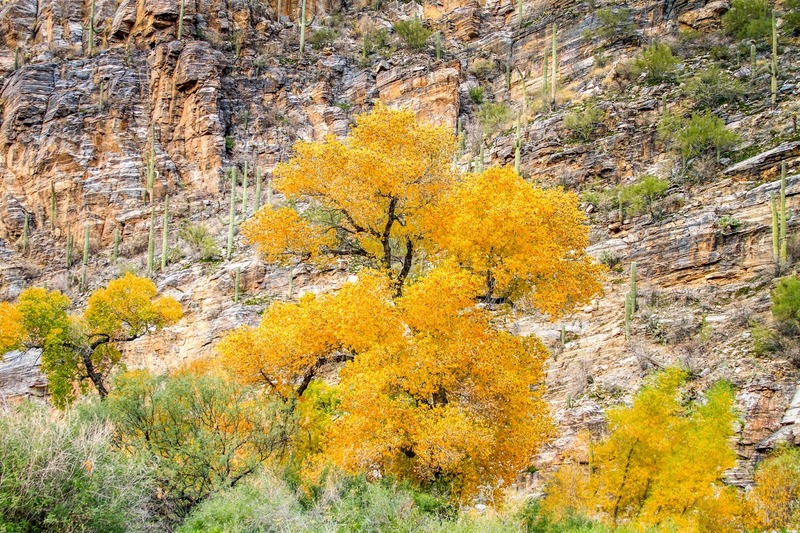 These are some of my favorite autumn photographs from here in the Sonoran Desert. 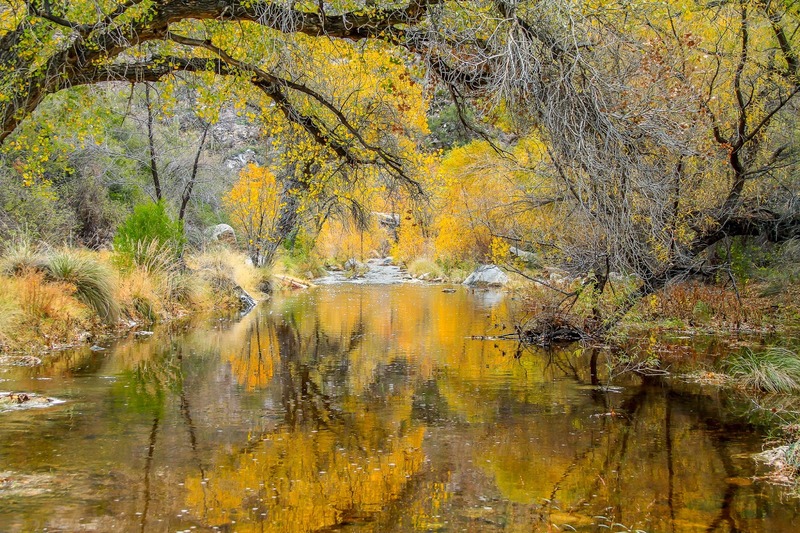 Sabino Creek for those of you are unfamiliar is runoff from the Santa Catalina Mountains which during periods of heavy rain is quite a robust stream, even raging at times. At other times of year when there is little moisture here in the desert it can completely dry up. I have been fortunate to experience it in all of it's iterations from raging to completely dry but it is at it's most beautiful when there is steady flow. 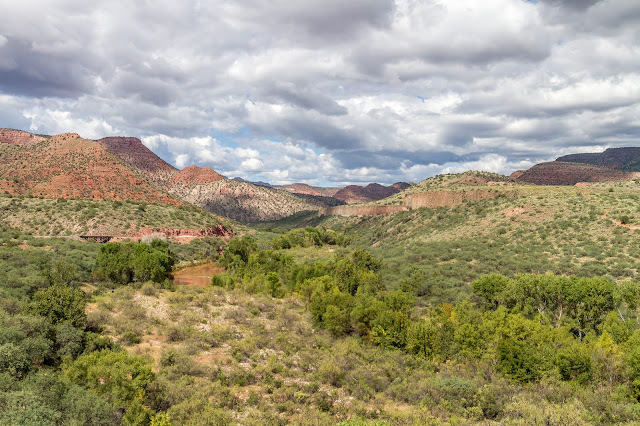 When photographing the canyon because of its vastness the obvious way to capture its essence is to get as much into the frame as possible. 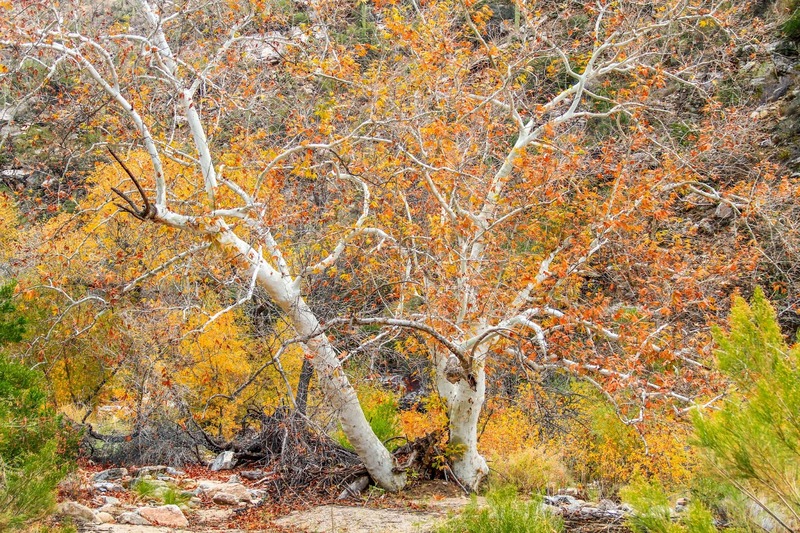 However for this series I wanted a more intimate view of the canyon, to look away from the sweeping panoramas and share the detail of it's autumn splendor. The joy of photography is not in producing great pictures. It is experiencing the places that great pictures can be found. It is an extraordinary privilege to be able to see and record nature in the places where it still exists. All images are the sole property of Ray Goodwin and are protected under International copyright laws. Do not download, print, or reproduce without my permission. 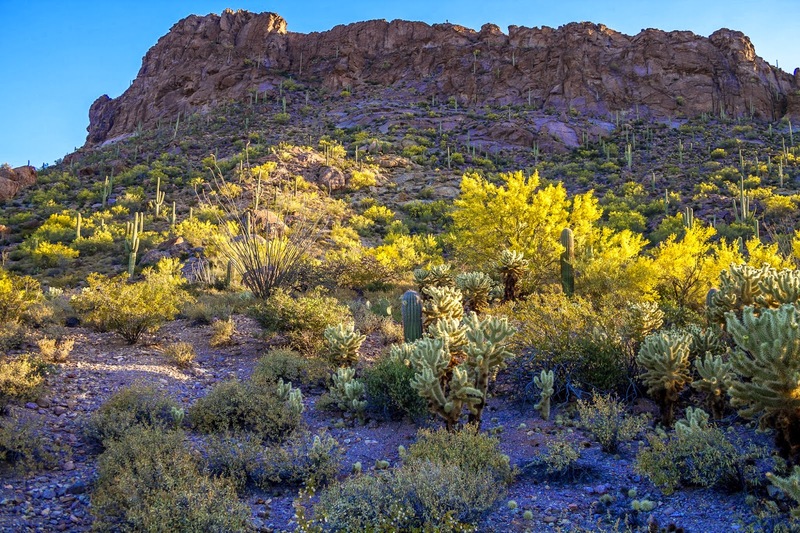 Photographs seen on Sonoran Connection are available to bonafide conservation organizations and educational institutions free of charge with proper permissions. 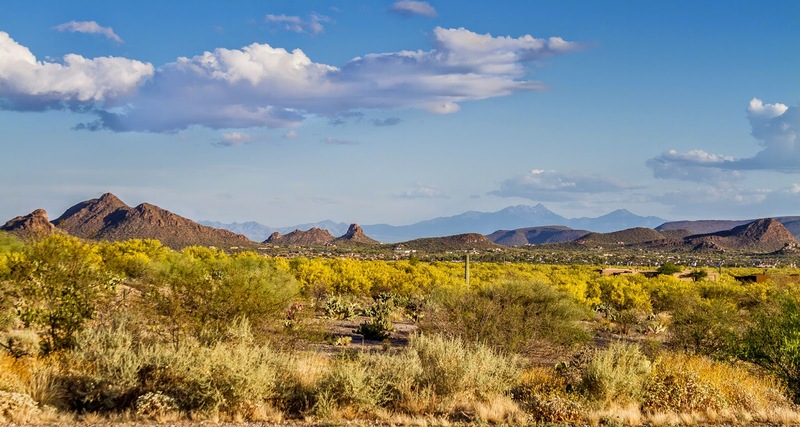 Sonoran Connection is an exercise in eco-photo journalism and advocacy for the natural world. 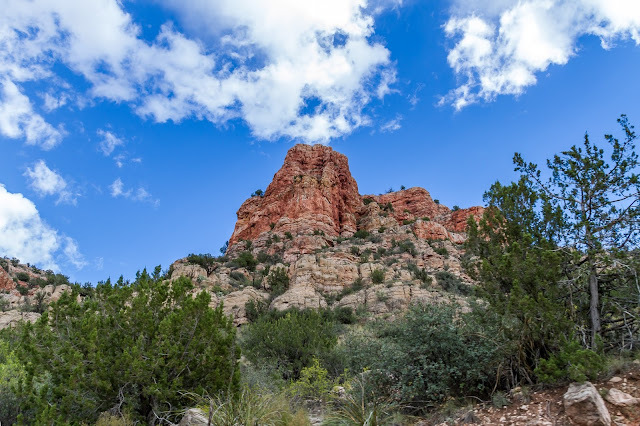 It is my chance to share the natural beauty that exists here in Arizona while increasing the awareness of the many programs and organizations that are working tirelessly to protect the remaining wild places and creatures here and across the country. I have particular interests in wolf reintroduction programs in Arizona/New Mexico and Yellowstone National Park as well as protecting the only wild bison herd left in America at Yellowstone. 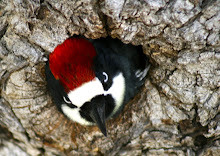 As an avid bird enthusiast I spend as much time as possible in the field recording what I see so that I may share my experiences with anyone who may be interested. Check out this video of my daughter feeding sharks by hand at the Key West Aquarium. 3 An Inconvenient Truth-Al Gores film on climate change. 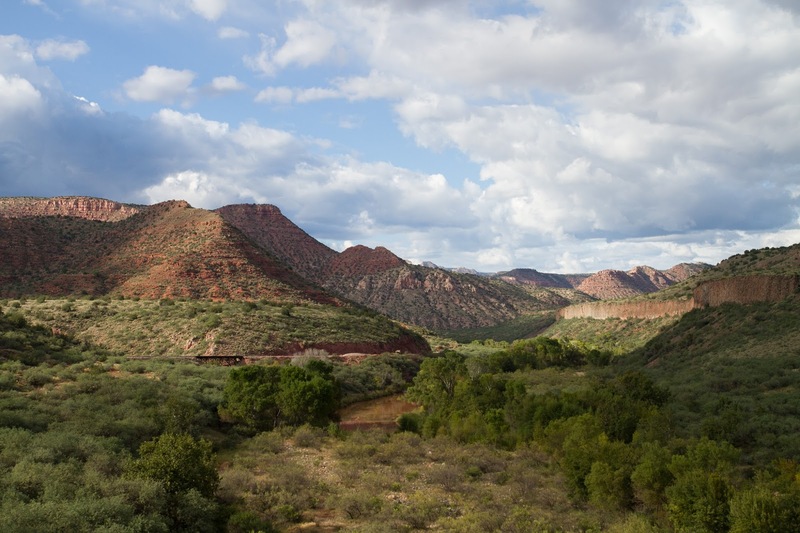 4 Ken Burns National Parks-America's Best Idea (12 hours). 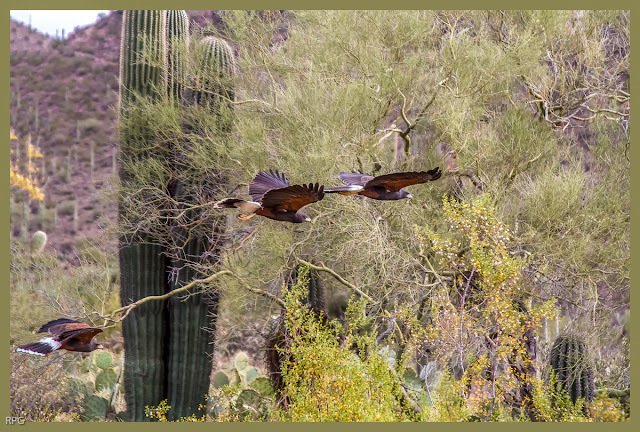 Check these folks out and see how you can help the Sonoran Desert maintain its biological diversity. The Peregrine Fund is dedicated to conserving birds of prey in nature. Click on the picture to access the Peregrine Funds website. 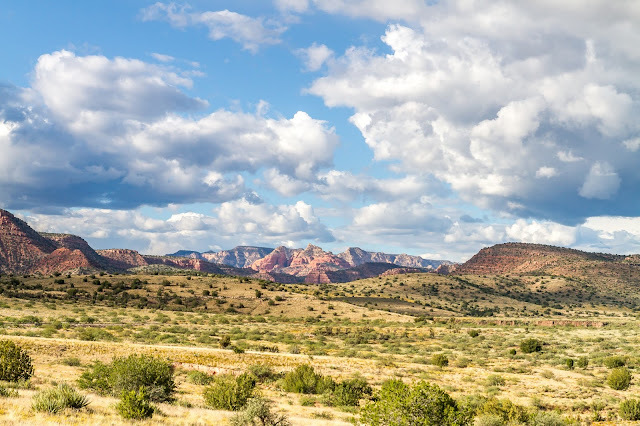 VERMILION CLIFFS, Ariz. – California condors will be released to the wild in the Vermilion Cliffs National Monument in northern Arizona at 11 a.m. Saturday, Sept. 28. The public is welcome to observe the release from a viewing area where spotting scopes will be set up and experts will be available to answer questions. Sonoran Connection applauds the Peregrine Fund for it's efforts to save the California Condor in Arizona. Check out this update on the Condor program 15 years after it began. My all time favorite organization is the National Parks and Conservation Organization. I have been a member for many years advocating for the parks on a wide range of issues including air pollution, limiting snowmobiles in Yellowstone, creating new parks and maintaining others for future generations. The web site is www.npca.org. I encourage everyone to check out this site and see how you can become involved in a great organization. The Buffalo Field Campaign holds a special place in my environmental heart. This organization's purpose is to protect and preserve the wild buffalo of Yellowstone National Park who are under assault from the State of Montana, local cattle ranchers and oddly enough the federal Government via the National Park Service. AMERICAN BUFFALO ELIMINATED from the last wild population in the U.S. The last wild population is currently estimated at fewer than 4,300 individual buffalo. Wild bison are currently ecologically extinct throughout their native range in North America. "Our core values are reflected in our environmental campaign work: We 'bear witness' to environmental destruction in a peaceful, non-violent manner. We use non-violent confrontation to raise the level and quality of public debate. In exposing threats to the environment and finding solutions we have no permanent allies or adversaries. We ensure our financial independence from political or commercial interests. We seek solutions for, and promote open, informed debate about society's environmental choices." This is a group whose mission is to protect wildlife. They not only advocate for wildlife but also do great field work especially in the area of protecting wolves around the country. Their website is www.defenders.org/ I especially like being kept informed about the plight of wildlife across America and being able to advocate on their behalf though e-mail. Friday October 8th we spotted 30 sandhills at Whitewater Draw. 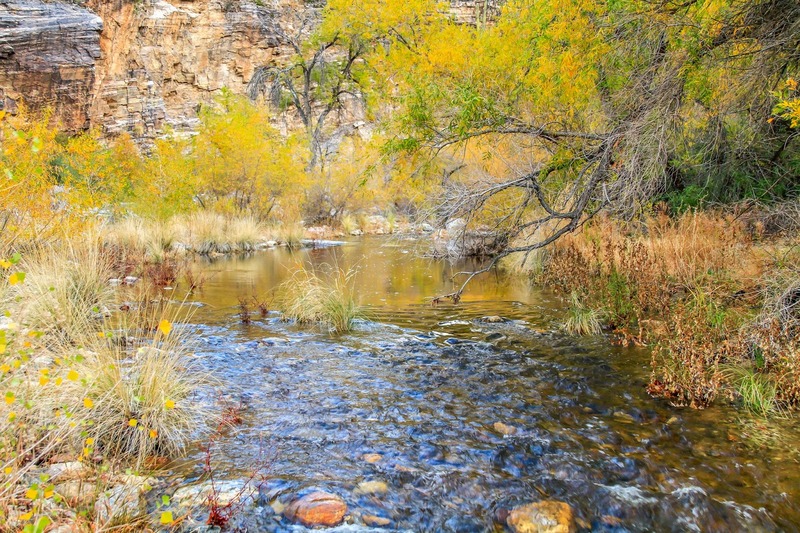 Tuesday October 12 190 sandhills returned to Whitewater Draw. What a day it turned out to be! We were thrilled to see the return of between 1600 and 1800 Sandhills flying in from the north in various sized flocks. Friday October 29th We headed to Whitewater a day early and I estimate the Sandhill population at somewhere between 10,000 and 15,000 birds. I will put a post up on this blog tomorrow, so stay tuned! We are going to be in Willcox Az on Saturday Nov 20th on business and will take the opportunity to do a little Sandhill watching while we are there. I am very excited because I ordered my new camera yesterday and will have it in time for this trip! 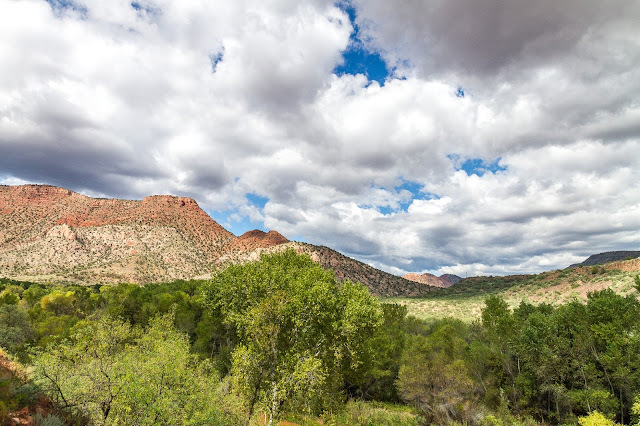 My camera is scheduled to arrive tomorrow and we are planning to take a trip to check out Ramsey Canyon Preserve near Sierra Vista on Saturday to test it out. 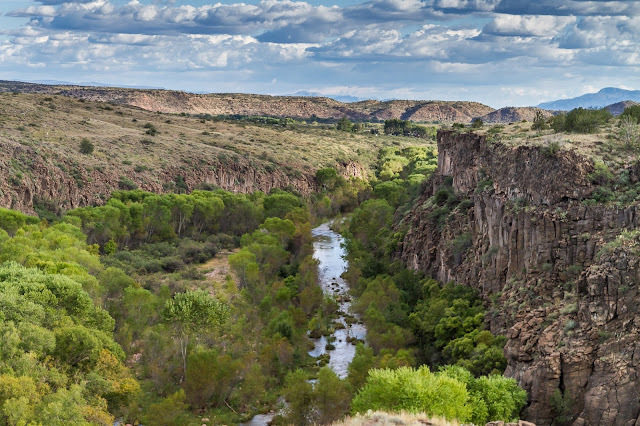 We already have a trip to Willcox planned next week for updates on the Sandhills. The new camera is here and now I have to learn how to use it. Wilcox Sandhills will be a good test on Saturday. Our trip turned out to be a successful one with sightings of thousands of Sandhill's at Apache Station. Our plan is to head back to Whitewater Draw on Friday Dec. 3rd to do an update. If all goes well the post will be up on Saturday. 12/3/10 Traveled alone to Whitewater Draw where I watched Sandhills come and go for the entire morning. 1/1/11 Traveled to Whitewater Draw and were treated to the most amazing display of Sandhill Cranes yet. The skies were literally full of Sandhills and snow geese. Estimated number of Sandhills 30,000.